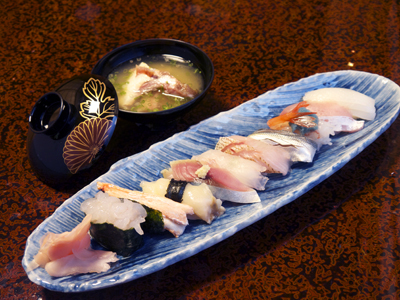 You can enjoy fish sourced directly every morning from the fish markets or the seashores in Himi and Shinminato in a sushi shop right by Toyama station. Indulge in grilled and fried food from Toyama Bay, nature's fish tank. The shop can also cater for banquets at a reasonable price.